When I saw this picture on my bloglovin feed I went into shock. I actually thought MAC was coming out with some new Viva Glam lipsticks and then noticed it was 1D (One Direction) only to find out its a new collection from the Amazing MUA also known as Makeup Academy. I quickly read on to find out these babies are coming out at the end of the Month followed by other products in this collection. 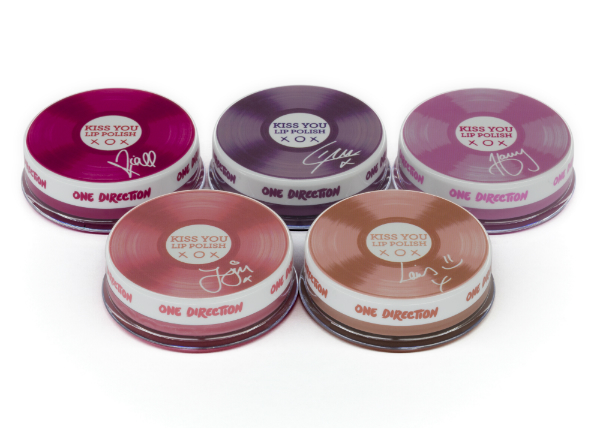 I still cannot believe these beautiful "Kiss You" lipsticks are just £3! I want them all so badly. I love the colours and with you all knowing I am a huge sucker for Pink lipsticks I just cannot resist. 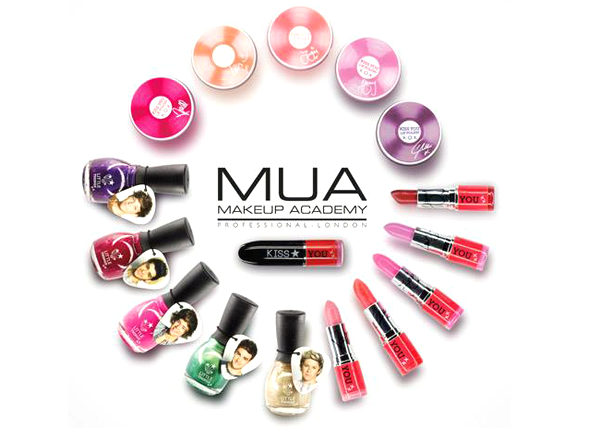 MUA have just put up swatches of these which you can have a look HERE. From the swatches they look rather pigmented being a cremesheen finish. Colours include : Be Mine - Harry (Red), I Wish - Liam (Coral), Rock Me - Louis (Barbie Pink), Moments - Niall (Soft Pink) and finally I Want - Zayn (Fuchsia Pink). 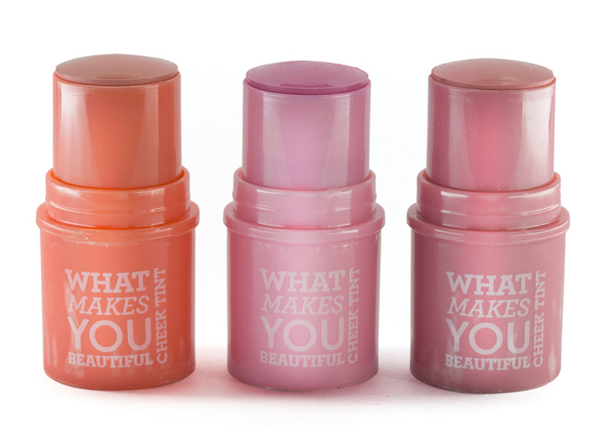 Next are the What Makes You Beautiful Cheek Tints (£3). I have personally never tried a cheek tint before but I am guessing since they are a creamy texture, they can obviously be used as a lipstick aswell as a blush. These babies have the same similar packaging to the MUA's Love Hearts Lip Balms. I personally wasn't a huge fan of those when they came out even though I do own all 5 of those from the previous collection which have been passed on to others. These on the other hand are probably the same consistancy. Lip Balms in different Colours and Scents. Colours include: Harry Loves Strawberry, Zayn Loves Watermelon, Louise love Vanilla, Naill Loves Cherry and Liam Loves Blueberry. 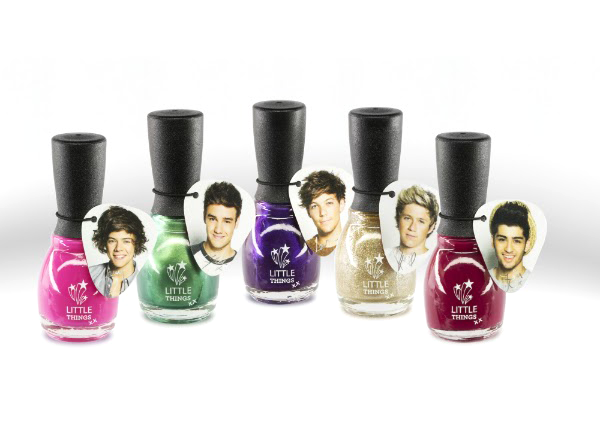 Last in the collection are the nail polishes. Little Things Nail Polish which are really pretty colours. Pink to red to even some glitter and shimmer to suit any persons likings. Are you Looking forward to this collection coming out? What are you most likely to pick up? I will definitely be picking up all the Lipsticks! Those are on my August Wishlist! Don't forget, they are released on the 31st July! 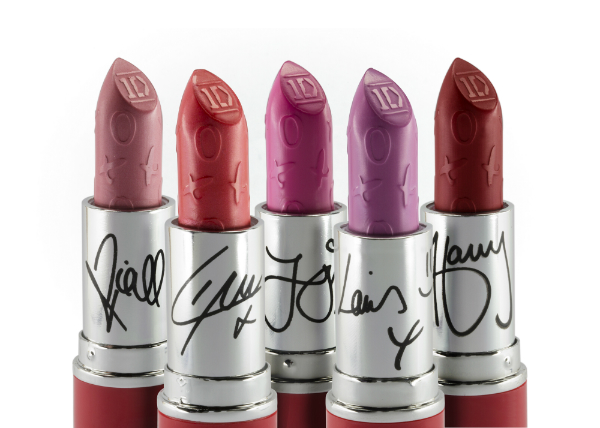 I really want Louis' lipstick and my first impression was also MAC Viva Glam! Great post, super excited now!